Are you planning to study in London, the best student city in the world according to the QS[BS1] Best Student Cities? You will make the right decision! London’s universities, colleges, and schools are among the best and most distinguished in the United Kingdom for international students but not only. London has all you need – starting with prestigious universities to notable nightclubs, keeping a perfect harmony between green parks and glazed skyscrapers. Despite this balance, finding accommodation in London can be tough. The city has various accommodation offers, but the demand is even higher. Keep in mind that London is actually an expensive place to live, you will need to find a London Estate Agency that will acquire the stress of negotiation and will ensure that your best possible terms and conditions are included in the final contract. 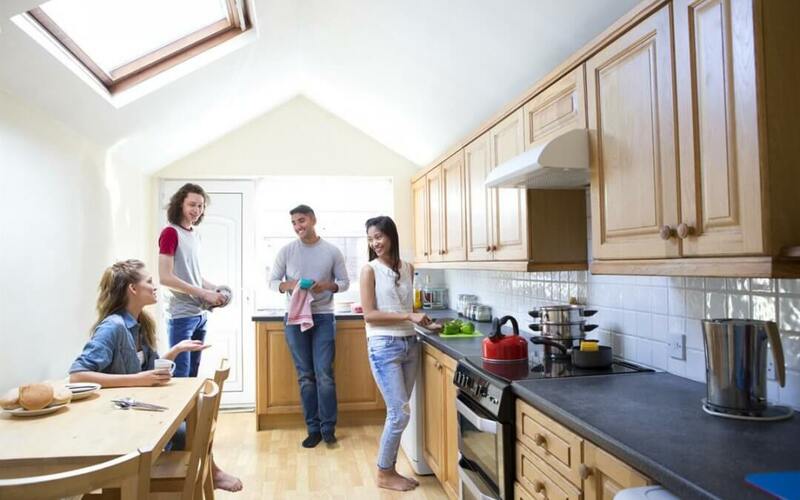 Student rents look to increase due to a housing shortage across many of the London’s main university areas, and many students are competing to achieve living accommodation before starting their studies. Don’t be discouraged, read some useful tips when searching for student accommodation in London. Location – Before deciding on your next home, make sure you check out how long it would take to get to the university and library, if you have good public transport connections, and if you have closer supermarkets to your location. Location can be a decisive factor in how much you enjoy your student life. Flatmates & Money – Renting a house with other students will be the most likely if this is your first year at university. By the end of the year, you’ll consider most of them your best friends and some of them you’ll be happy not have to see again. Pay attention to the year of study, gender and the university they are attending for a better understanding of your future flatmates. But living with other people won’t just save you money on rent, but also on bills, including the internet and other streaming subscriptions, will be a flat share – so the more people using it, the cheaper it’ll be for all of you. Reliability – Sometimes, something will need to be fixed during your years at university and being able to count on your landlord or letting agency to fix the problem quickly and without creating any unnecessary stress is a must. Students can report a fault on an online maintenance platform at any time, without having to contact directly the landlord/letting agency on the phone is one of the technology impacts nowadays.